Re-defining the perception of advanced mobile phonesÃƒÂƒÃ‚Â‚... the HTC Touch Diamond signals a giant leap forward in combining hi-tech prowess with intuitive usability and exhilarating design. Featuring a sharp 2.8-inch touch screen housed within a stunning formation of brushed metal and flawless faceted edges, the HTC Touch Diamond is as beautiful to behold as it is to use. 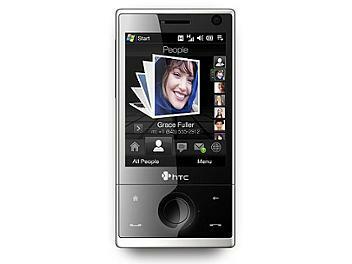 With HTC's vibrant touch-responsive user interface, TouchFLO 3D, and ultra-fast HSDPA internet connectivityÃƒÂƒÃ‚Â‚... the HTC Touch Diamond offers a rich online experience to rival a notebook computer, allowing you to interact with Google, YouTube, and Wikipedia as freely as you would with a broadband connection. Your contacts, favourite music, videos and photos are no longer an uninspired line of text. With TouchFLO 3D, album artwork, video stills and snapshots of your friends' and family's faces are brought to life for you to interact, play and launch at your fingertips. Style and substance in a phone are no longer mutually exclusive. The HTC Touch Diamond has arrived. Vibrant TouchFLO 3D user interface, responding perfectly to your finger gestures when scrolling through contacts, browsing the web, and launching mediaÃƒÂƒÃ‚Â‚... all vividly displayed as photos and artwork powered by the 3D graphics processor.